This page is under construction and needs input from LHC members…. This was a Jubilee Visit. 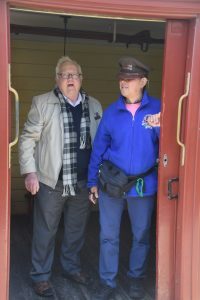 It was the 21st Australia & NZ Tour of Chor Farmer during their 50 Year Celebration which coincided with the 140 Year Celebration of Lobethal Harmony Club. Music is really something for the Heart and Soul and throughout the whole Chor Farmer visit we experienced how all our hearts and souls were opened through music and filled with a deep friendship and joy. 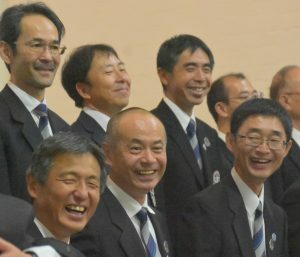 The stars of the Evening (Tuesday 11th, September) were, without doubt, Chor Farmer under the leadership of Hiroshi Masumoto and Masako Yuyama as accompanist. 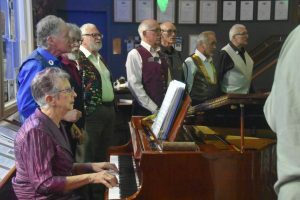 The house was full (even it was Tuesday night), when the Lobethal Harmony Club marched in to sing ‘Lobethal the alley of Praise’. They delighted the audience later with two three piece brackets. 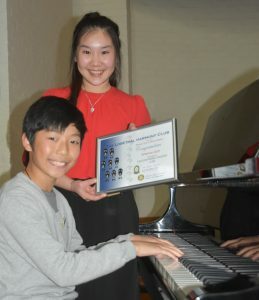 The current Scholarship winners, 11 y old Royce Wong and the previous year’s winner Willam Horath on piano, as well as the Soprano …. showcased the high musical talent of the local youth (also compare scholarship page). The Japanese pianist Masako Yuyama thrilled the audience with three pieces. Chor Farmer started with a bracket of 5 Songs in German and brought the audience to the feet with 9 more international and Japanese songs after the Interval. Everybody was captured by the atmosphere they created with their professionalism and wide ranging repertoire. 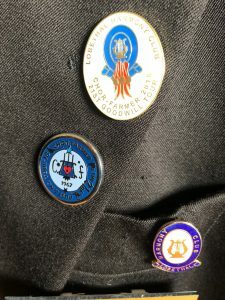 At the end of the Concert the combined Choir sang ‘In the Sweet By and By’ followed by an exchange of friendship badges. We all enjoyed the intermingling with old and new acquaintances during the supper, which closed at about 11 pm. The Chor Farmer members were billeted by LHC members, local organisations and individual people. 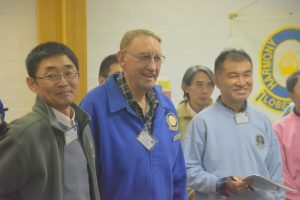 Many activities were carried out together with the hosts. 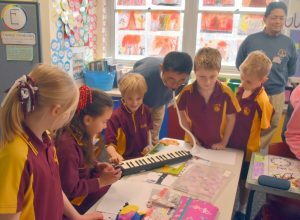 The language barrier didn’t prevent from bonding deep friendships, having much fun together and filling each others hearts with singing at each opportunity. 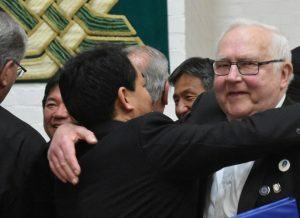 This was the 12th time the two Choirs performed together and the friendship reached new levels. After a bit of a wait, Chor Farmer arrived Monday night, by bus from the airport (from NZ) in Lobethal. Old friendships were refreshed and an impromptu meeting was held to confirm the arrangements for the coming days. 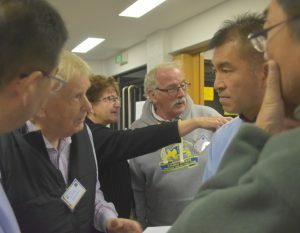 After the obligatory meeting of our Japanese friends, where everybody, even those who didn’t speak English very well, were brought up to what is to happen, the choir members were taken back to their host accommodation and an evening meal. 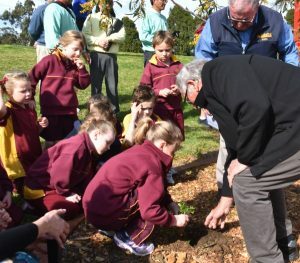 Both Choirs assembled with all children of the Lobethal Lutheran School at the edge of the oval and build a friendship circle. The children said a welcome verse in Japanese. Chor Farmer then entertained everybody with a song. 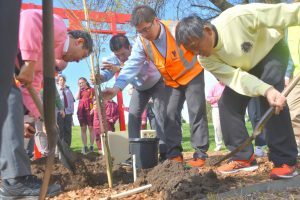 A Japanese Maple and an Australian Wattle tree and some ground-cover were planted together with the school children. A small Japanese monument was also setup. 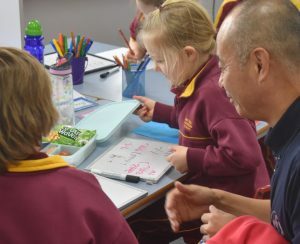 Then some of the children engaged into activities together with our visitors, eg writing their names in Japanese signs. 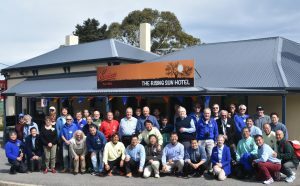 The Rising Sun Hotel is the venue where the LHC started in 1878 (compare History page). 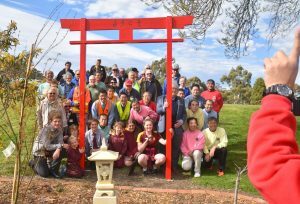 After the school activities we walked there for a group photo and the unveiling of a plaque, which commemorated this memorable event. 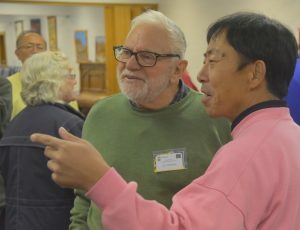 This activity was carried out by Ross Schubert, who with 68 years of membership, has personally experienced nearly half of the clubs 140 years of history, together with the two Japanese members who took part in all the 21 Australia trips (since 41 years). 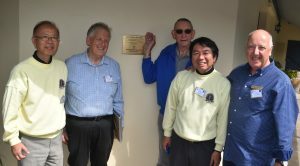 The committee members Alan Thompson and John Wittwer are also pictured. In commemoration, most of us had a beer and we all sang a German song (Heiderőslein) followed by ‘Ein Prosit’. 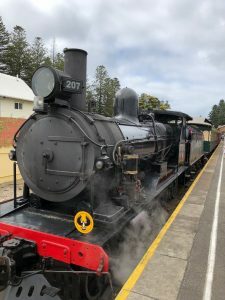 On Wednesday, we hired a whole steam ranger train who took us from Goolwa to Victor Harbor and back after lunch. In Victor the hosts made their own arrangements with their guests, but most of us went to Granite Island and had lunch at different venues. 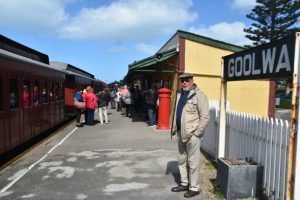 Unfortunately the steam engine shown was not available due to repair, but we all enjoyed the pleasant trip along the sea whether we traveled in the historic ‘Princess Diana Royal carriage’ or in the extended luggage carrier. Another highlight was the Celebration Dinner in the Lobethal Bierhaus, with good food and the choice of more than 30 different on-site brewed beers. 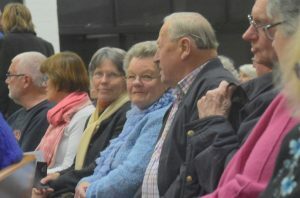 Different groups of both choirs entertained us with a variety of music performances, which all enjoyed. 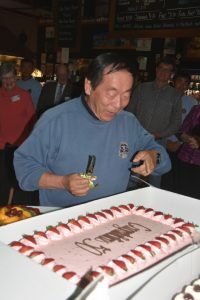 Two larges cakes, celebrating the 50th and 140th Jubilee were cut by the Honarary and Club Patrons, Hirosh Masumoto and Ross Schubert. Food was so yummy, most of us had too much! Both choirs performed several pieces and the highlight was the joined rendition of ‘Now is the Hour’, where emotions overflowed and many got wet eyes. Everybody formed a friendship circle where we all linked and crossed hands. What a fitting end of an exceptional visit! Thank you Friends from Japan for visiting us again and all you have given us on this truly memorable Visit! Our hearts and souls are still overflowing. 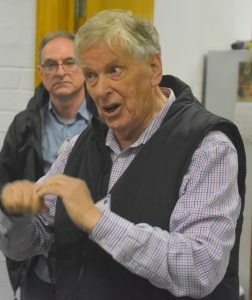 This successful Event was made possible by the LHC Chor Farmer committee, who spend endless hours of diligent preparation under the leadership of Alan Thompson, Peter Dickason and John Wittwer. Thanks to you and also to all those unnamed women and men who worked in the background. Thanks to Nigel Brockhoff and club members for providing the Photos.